The Oregon Rex was a breed of American cats that were not destined to exist independently for long after its development, and eventually went extinct. 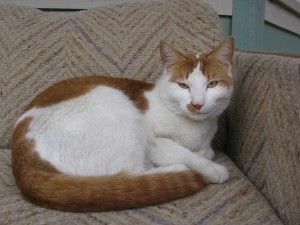 These were cats with a loving temperament, having a short, tight and silky, curly coat, with a wedge-shaped head, large ears with rounded edges. They had medium-sized, oval-shaped eyes, as also had a small but elongated build. Their tail and legs were slim and long, while their paws were rounded. It was in the 20th century that the Oregon cat was developed in the USA, after which these felines rose to the heights of popularity in a very short period of time. However, their popularity didn’t last for long after they got merged with the other Rex breed of cats, and were eventually lost. 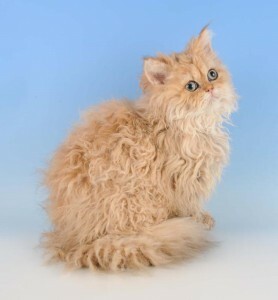 Initially, these cats were developed as a result of a recessive genetic mutation and owned a curly coat, a variation, which is not seen in other Rex breeds, making them genetically different from other Rex breeds. In 1944, the very first litter of cats resembling the Oregon Rex was developed. Though, there has been no historical evidence in support of this claim, the first case of the Oregon cat that was documented dates back to 1955 in the state of Oregon in the United States of America. The very ‘first’ Oregon Rex was born with a curly coat with all its other litter mates, as also its mother, having straight fur. It was from this kitten that the latter-day Oregon Rex found its development. 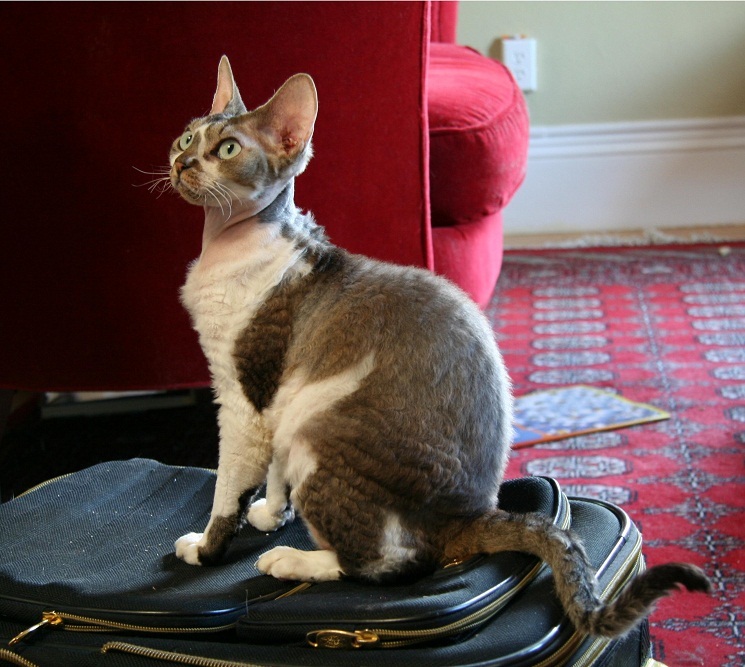 The new breed of Oregon Rex was made to breed with the Cornish Rex that was brought from Great Britain to the United States during this period. This cat soon turned to be an extensively sought-after breed, and started to be called the Oregon Rex after the breeders from the state established a purebred Oregon Rex. In the process of breeding, all the Rex cat varieties were crossed with each other. Because all these breeds differed genetically from each other, the Oregon breed ceased to exist as a stand-alone breed and soon became extinct by the beginning of the seventies. Among the Rex varieties, the gene that is responsible for the process of developing curly hair is quite common. Other than the many Rex breeds, there are many other variations as well, and the presently-extinct OR is just one of these variants. 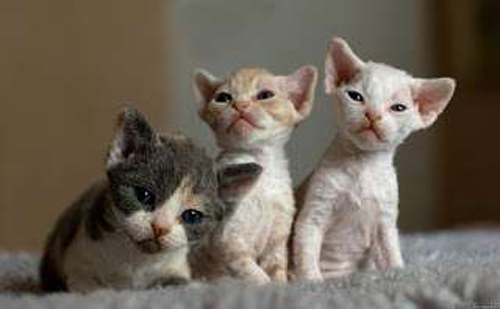 The interbreeding between cats with typical Oregon Rex features (genetic description: roro), as also the Cornish Rex (rr), and later with the Devon Rex (rere), produced offspring with conventional, non-curly coats. The Oregon Rex was genetically different from other Rex breeds since their mutation represented a recessive allele (ro) of an own gene with the dominant wild type allele (Ro), suggested genetic research. Since the Oregon Rex does not exist anymore, describing any modern-day behavioral traits of these felines is difficult. It is generally thought that, the Oregon Rex combined the characteristics of all the Rex breeds (carrying their genes). With their affectionate nature and willingness to cuddle and play with their owners and loved ones, they have often been described as extrovert. The OR displayed an attitude of gaiety, sociability, and playfulness. Very much like the Devon and the Cornish Rexes, the Oregon Rex too demanded the care, love, and attention. They would move around with their family members and would hate the idea of being left alone for long hours. They have been described as obstinate, headstrong. Hence, they had never been a good breed choice for the first-time owners. They were needy, funny and at times, a little disruptive and arrogant. Reports also suggest that, they had a dominant nature, making them a little tough to handle. However, this Rex was good with children, and would spend time playing with them. This energetic feline would often tolerate their callow behavior, and would even cherish the company of dogs and loved meeting new people. Breed-specific or genetic health conditions had been documented in the Oregon Rex. This is mainly because of the fact that they were so rare even before they went extinct. Training the OR was supposedly a little bit difficult because of their apparently obstinate, whimsical and independent nature. 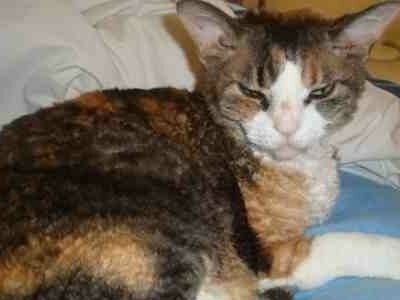 The last purebred Oregon Rex cat is reported to have died in 1972. Published on January 12th 2016 by Shiloh Nevada under USA Cats. Article was last reviewed on 22nd April 2017.